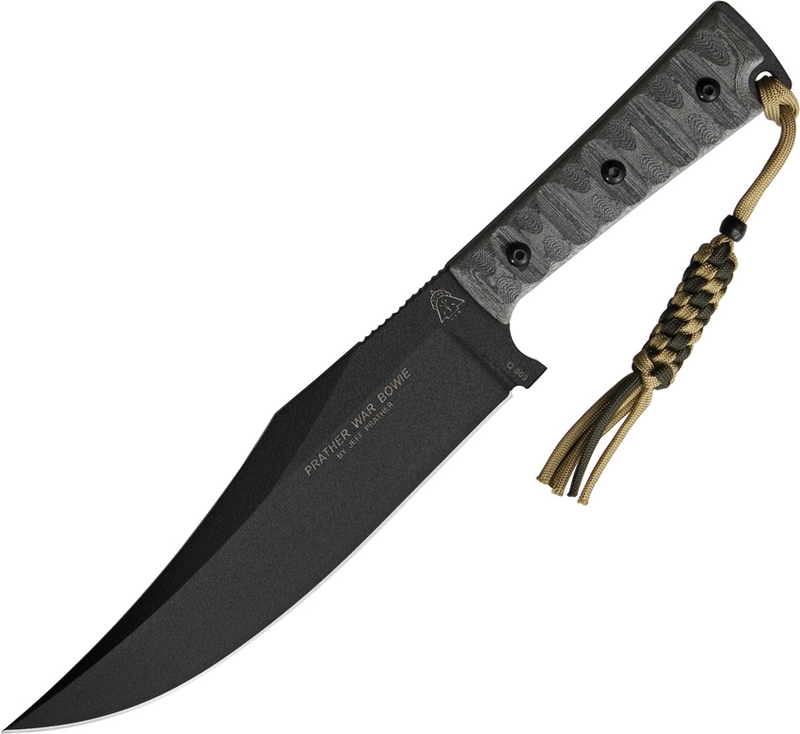 TOPS PWB01 Prather War Bowie Knife. 12 5/8" overall. 7 1/4" 1095 high carbon steel blade with black traction coating. Full tang. Matte gray linen micarta handles with Rocky Mountain tread texturing and black finish stainless screws. Olive green and tan braided lanyard. Black ballistic nylon MOLLE compatible belt sheath with hard liner and utility pouch.